Mom Things: Reflections on Life with a Toddler. While trying to make a packing list for our upcoming vacation, one little hand on my knee, one clutching a book. The question “Do you want to read some books?” was immediately followed by a vigorous head nod and beeline to the bedroom. 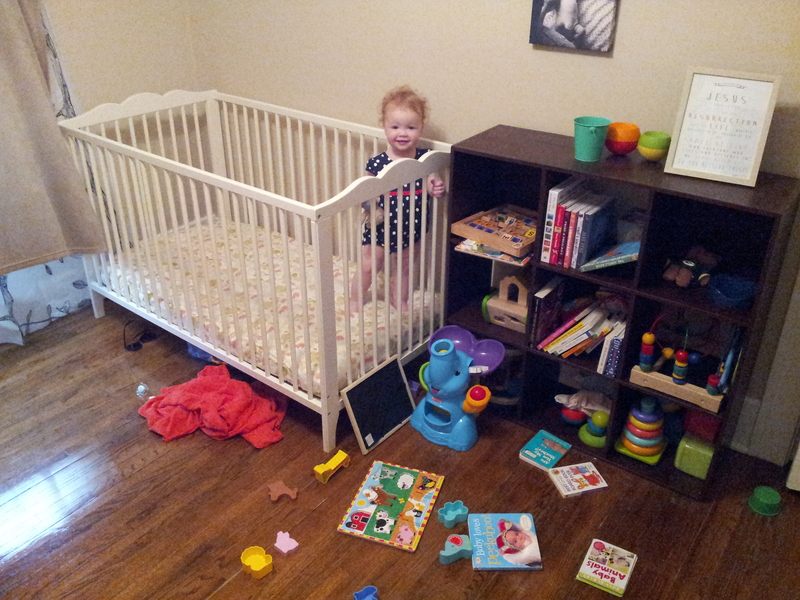 I heard a loud crash during “nap time” and found this in her room. Apparently we weren’t tired today. That’s all for now. Another stack of books is accumulating next to me on the couch.